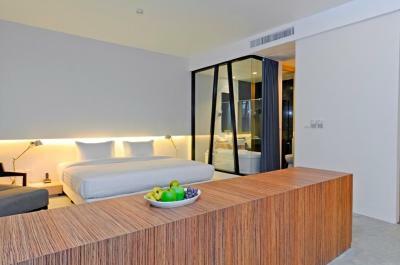 Lock in a great price for Vismaya Suvarnabhumi – rated 8 by recent guests! 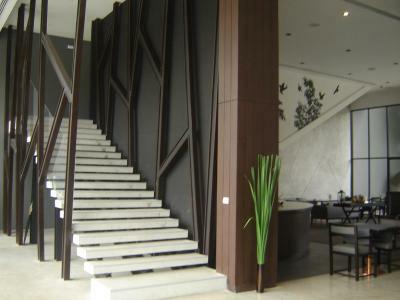 Location close to airport, low key hotel, swim pool , restaurant. 1.The service . 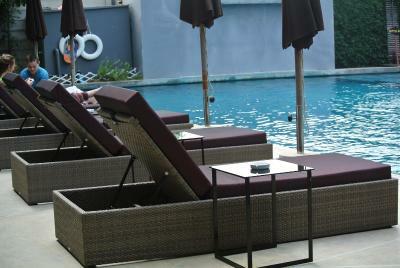 2.The room , the hotel was fully book and they upgrade us to view pool room . 3. 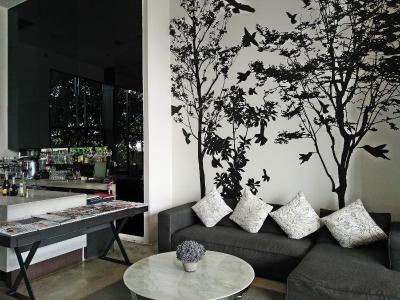 Close to the airport , for us it was good because the next day we have another fly to Phuket . The amazing service and staff also it’s so near by the airport and their transportation is cheap and clean. Booked this hotel as a final stop before flying home after my travels and was the best decision. 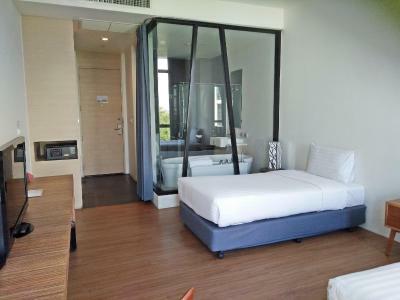 Wonderful place to relax - big, clean rooms with a bath and a massive bed. Nice pool, good and relaxing vibes, staff are helpful and so friendly. Cheap transfer to the airport and delicious, local places to eat just down the road if you fancy one last cheap dish and a Chang! Late night swim in pool was very relaxing and pleasant. Mosquitoes were present but this is expected. Room was noisy but we had a first floor pool view. You could hear people coming and going checking in and out at all hours. Breakfast was just OK, the restaurant for dinner was good and staff were friendly except for the bellman. He was very abrupt about explaining the room. it was only a one night stay for morning air departure. Shuttle to and from was a plus. Room itself was nice and fair sized with a very nice bathtub to soak in. Shower next to toilet was very crowded getting in and out. not much shower door swing. Pricing was very good for the room. 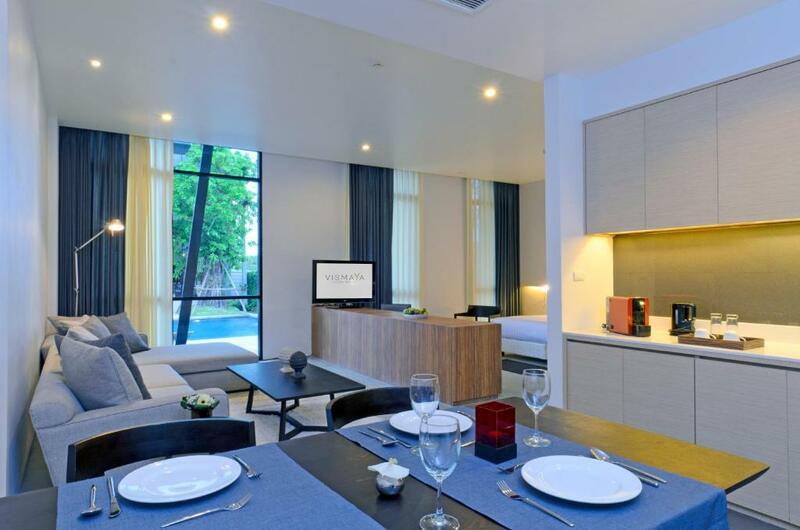 Vismaya Suvarnabhumi This rating is a reflection of how the property compares to the industry standard when it comes to price, facilities and services available. It's based on a self-evaluation by the property. Use this rating to help choose your stay! 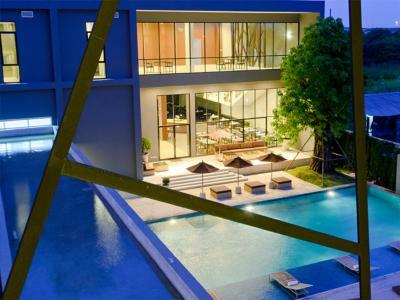 One of our top picks in Lat Krabang.Just 10 minutes’ drive from Suvarnabhumi International Airport, Vismaya Suvarnabhumi features an outdoor pool. 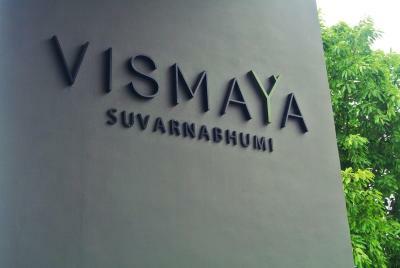 Vismaya Suvarnabhumi is 19 mi from central Bangkok. The Bangkok International Trade and Exhibition Center is a 20-minute drive away, while Pattaya Beach is an hour and 30 minutes’ drive away. 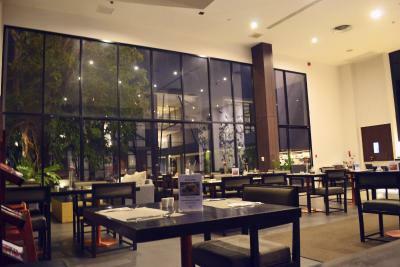 Jana Restaurant Bar and Lounge serves Thai and international dishes, as well as snacks and gourmet coffees. 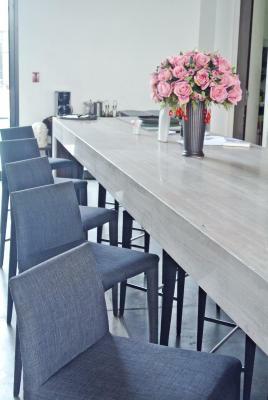 It offers indoor and outdoor seating. Room service is available 24 hours. 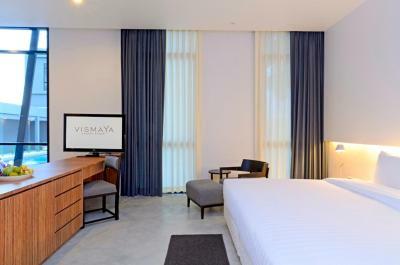 When would you like to stay at Vismaya Suvarnabhumi? 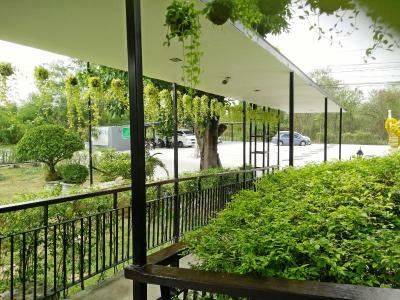 Air-conditioned room comes equipped with a 32-inch flat-screen TV, a safe, and tea/coffee-making facilities. The bathrooms have a bathtub and a separate rain shower. Overlooking either the pool or garden, this room has upgraded furnishings. 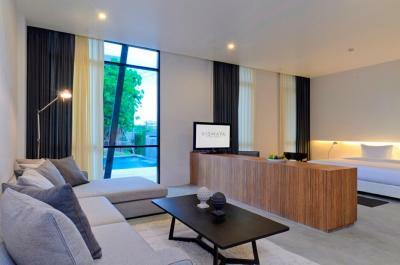 This spacious suite features a living area and a dining area for 4 people. 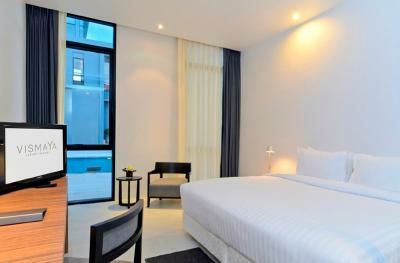 Air-conditioned room comes with a 32-inch flat-screen TV, a safe, and tea/coffee making facilities. The bathrooms have a bathtub and a separate rain shower. 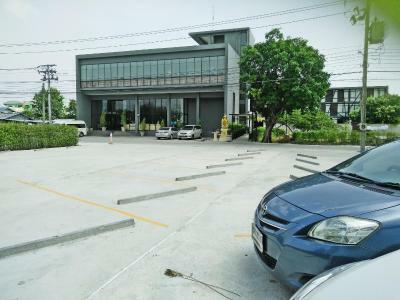 Includes one way transportation from Suvarnabhumi Airport to the hotel. 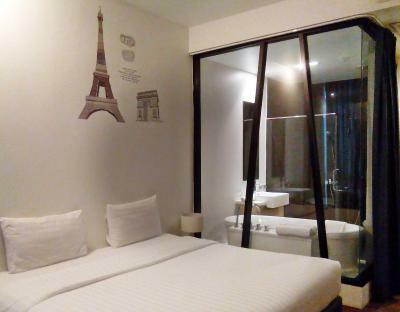 Room features round-trip shuttle service from Suvarnabhumi Airport to the hotel. 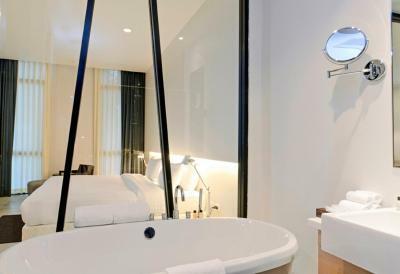 House Rules Vismaya Suvarnabhumi takes special requests – add in the next step! Vismaya Suvarnabhumi accepts these cards and reserves the right to temporarily hold an amount prior to arrival. 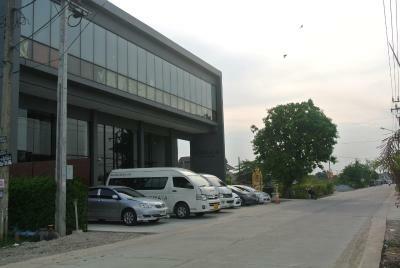 Vismaya Suvarnabhumi provides a chargeable airport transfer to and from Suvarnabhumi International Airport. Guests who wish to use the service must provide flight details to the hotel directly during reservation. This can be noted under "Special Requests" during booking. Guests will be picked up by a staff member who will be holding a sign with guest's names or hotel name, waiting between Gate No. 3-4, which are located on the second floor of the arrivals hall, near the information counter. 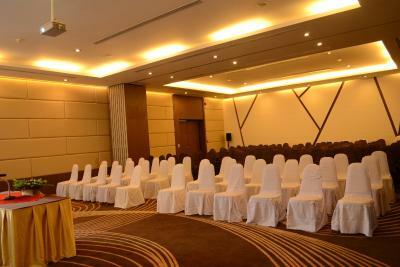 Kindly contact the hotel directly for further information. Contact details can be found on the booking confirmation. Air con in our room was set at a specific temperature that you were asked not to change as it would create an ice block. Polite and friendly staff. Fantastic food. restaurant was still open late so we could still eat even though we landed late. Large room with modern fittings. Beautiful bathroom. Nice pool, advertised as open 24/7 however we did not try this ourselves. Efficient transfer available at extra cost- literally 10 mins to the airport. The water temperature in the shower could not be controlled. Continuously went from hot to cold without touching the knob. Stayed in this hotel a few times now, it's excellent value for money, clean, nice pool, close to the airport & the staff are great. Pool was dirty and had multiple loose tiles in the pool. Showers leaked all over the bathroom. Overpriced restaurant on property. Had to make multiple calls to the front desk about the wifi going out. (I was only there for 1 night) Nothing to do near the hotel. The airport shuttle cost 80฿ per person. (a taxi to/from the airport is roughly 150฿, not cost effective if you are traveling as a couple or a group) And they will charge you extra fees without warning. The internet did not work well in my room. The fitness room had been removed. Nothing all good shuttle service would be nice every half hour. Some times the atm not work. But their is a 7/11 not far. I didn't find anything real to no like.